WELCOME to Pratt's Karate Club where family comes first. Pratt's Karate Club was founded in 1979 by Master Leonard Pratt. 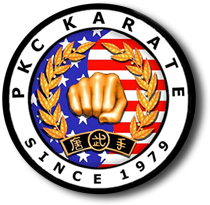 Pratt's Karate Club also known as PKC KARATE is a community martial art program for both children and adults. We teach Moo Duk Kwan Tae Kwon Do along with many other back grounds such as Kickboxing, Judo, Hapkido, Reality based self-defense, Weapons and Sport Karate. Here at PKC KARATE we believe that in order to be well rounded in the Martial Arts and in life we must learn to keep an open mind. Our Mission is to keep family and community involved with healthy activities through the path of Martial Arts. We are very proud to announce that PKC KARATE is now a PE College Credit at ACU (Abilene Christian University). He has appointed Braden Smith a PKC 2nd Dan Black Belt to teach the course as Mr. Smith also attends ACU as a student. This will be PKC Abilene's 3rd location and PKC KARATE's 8th location in Texas. We are very proud of the growth and reputation in the community of the program that PKC Abilene has built these past 12 years they have taught. Thank you again for making it happen!